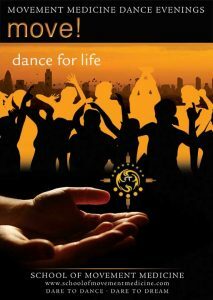 Movement Medicine is designed to inspire you and to bring practical benefits to your everyday life. 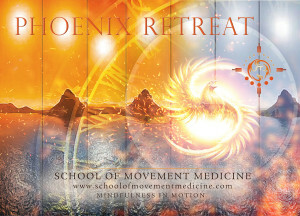 It is the School of Movement Medicine’s policy to provide personal support to help you with the integration process. 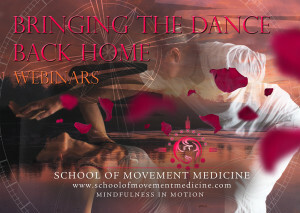 In order to provide this service between workshops, The School of Movement Medicine has recruited a professional coach and mentor who intimately knows the Movement Medicine work though personal experience on the dance floor, and who have faced many of the unique challenges of integrating the freedoms of this practice into daily life. This service is available to help you ground the experiences you have had in a workshop in a positive and constructive way. Patrick Hofman is our coach and mentor and he can provide sessions in English or German. 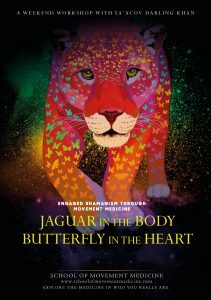 Following several years of working with 5 Rhythms, Patrick Hofmann was introduced to Movement Medicine in 2013 and immediately fell in love with the deep transformative character of the work. Following that moment, he attended numerous Movement Medicine workshops which helped him through a deep transformation in his personal life. Patrick has completed the Movement Medicine Apprenticeship programme and attended several Movement Medicine workshops as teaching assistant. From personal experience, he knows both the pearls but also the challenges a dancer may face – especially when bringing the gifts of the dance into one’s everyday life. In 2016 Patrick became a certified “soulcentric coach”. He feels very privileged to follow his heart with this and support others in following their truest soul-purpose. As a father of two adult children with a career in teaching and then as an IT specialist with his own company, many years of dancing meditation, Buddhist meditation, relationship competence studies and Yoga teaching training, he brings broad experience to his coaching. Contact Patrick for a free coaching session and find out if this way of working might suit you. Please note: All coaching is in German or English and is carried out by telephone or on skype. Nach einigen Jahren 5-Rhythmen Praxis lernte Patrick Hofmann 2013 Movement Medicine kennen und war unmittelbar fasziniert von der transformativen Kraft dieser Arbeit. 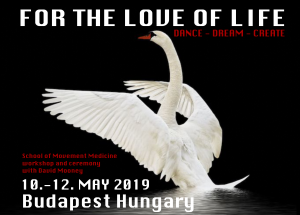 In den folgenden Monaten nahm er an zahlreichen Movement Medicine Workshops teil. Diese unterstützten ihn in einer tiefgreifenden Phase der Neuorientierung. Patrick hat das Apprenticeship Programm an der School of Movement Medicine abgeschlossen und wirkt seither immer wieder als Assistent der Kursleitung mit. Aus seiner persönlichen Erfahrung kennt er sowohl die Perlen wie auch die Herausforderungen welche einem Tänzer in dieser Arbeit begegnen können – vor allem wenn es darum geht die Geschenke des Tanzes ins Leben zu integrieren. Patrick arbeitet als zertifizierter “Seelenzentrierter Coach” und fühlt sich privilegiert, Menschen in dieser tiefgreifenden Weise begleiten zu dürfen. Mit Liebe und voller Präsenz unterstützt er dich darin, auch im Alltag immer mehr in deiner Mitte anzukommen. In einer kostenlosen Probesession von 30 Minuten findest du heraus, ob diese Art von Unterstützung für dich in deiner aktuellen Situation passend ist. Coachings finden in Deutsch und Englisch via Telefon oder Skype statt.